Arriving in Sost mid-afternoon after a 5 hour mandatory bus ride from China (see China blog) we went through the very relaxed customs office. The Pamir Lodge is the place to stay in Sost, or so we were recommended by many a traveller, but unfortunately the owner had headed home to Chitral. So we spent our time in the Mountain View hotel, clean but like most places here cold and with sporadic hot water and electricity, just something you get used to here in the mountains. 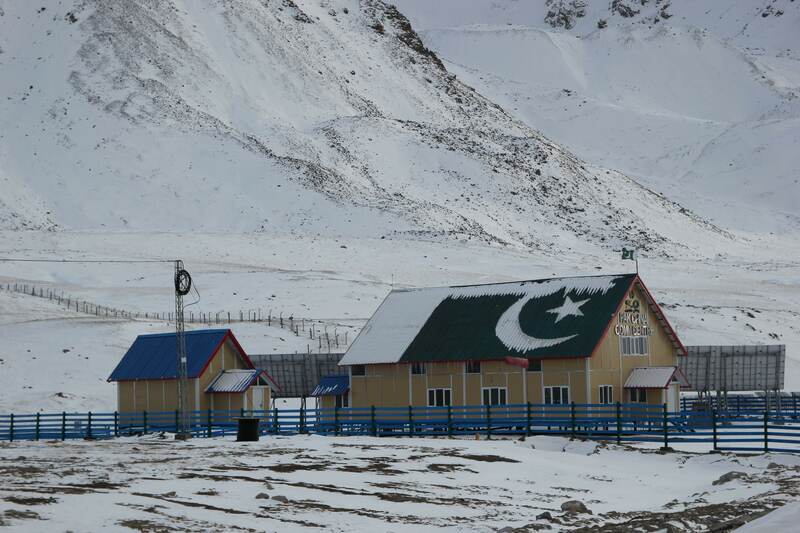 Sost is the northernmost town in Pakistan and in mid-October was below 10 degrees C during the day and plenty of snow up the valley. 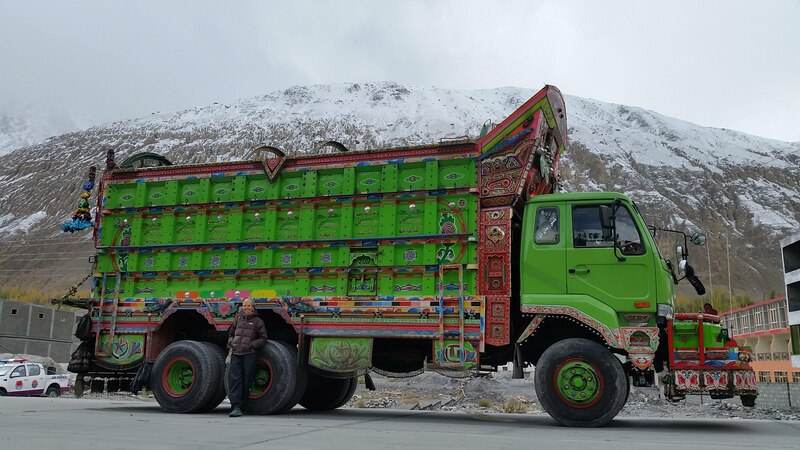 It is also home to a large dry port where the trucks from China unload to the colourful Pakistani ‘jingle’ trucks to take down south, one of the reasons the Karakorum Highway road is in such good condition. 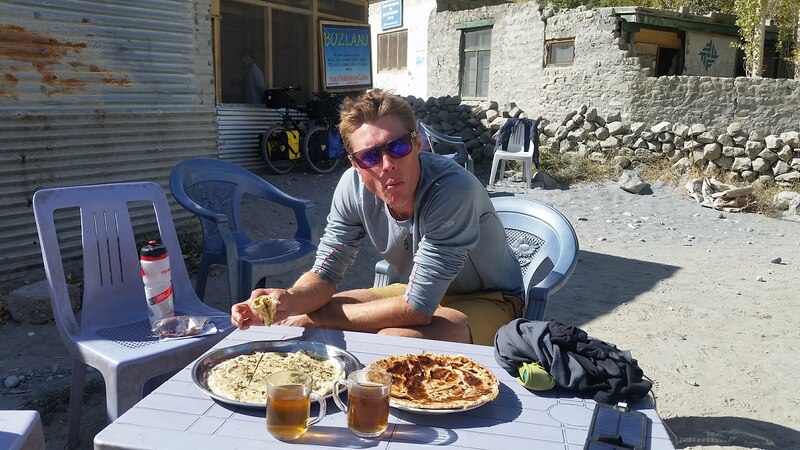 Whilst waiting for a break in the weather we stocked up on food, trying to regain some weight after riding through the Pamir mountains in Tajikistan, frequenting our favourite Khunjerav Cafe for dahl, veg curry and bottomless tandoori roti. By chance, WWF India (World Wildlife Fund for Nature) were holding a training session at our hotel for the rangers of the Khunjerab National Park and invited us to join in after they found out we were cycling in support of conservation for the World Land Trust, we even managed an impromptu presentation! 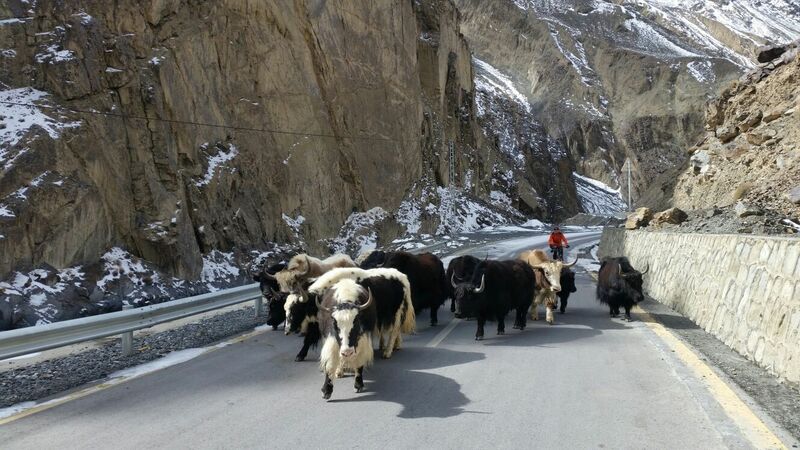 It’s heartening to see so many local rangers committed to preserving the Khunjerab National Park. The park is home to over 4000 ibex, 47 snow leopard, 15 brown bear and 150 marco polo sheep (a protected species famed in the hunting world, the sheep grow to almost bear-like sizes). The head of Khunjerab National Park sent me this incredible video of a snow leopard jumping off a cliff to catch an ibex. The music is a bit dramatic but it’s fascinating to watch and the first time a kill has been caught on camera. After a few rest days we decided to tackle the ride up to the Kunjerab Pass since we’d not been able to see much on the bus with cloudy snowy weather. It’s 85kms and 1400m of ascent from Sost to the pass and so requires a full day unloaded, a stretch in Autumn with sunset around 5:30pm but we tried anyway. About 30km up the valley you enter Khunjerab National Park where you pay the 8 USD entry fee (just as you do on the bus on the way in as well, despite not being able to get off at the time!) It’s times like these you curse those fat touring tyres and really miss your road bike! After 70km at 3:30pm and having reached the top of the switchbacks at 4200m above sea level I was having my third attack of breathing difficulties and decided to turn back down. Jules made it to the top and had the best chai (ginger and cardamom spiced tea) he’s ever had!!! NB the ‘world’s highest cash machine’ was out of order, and aparently often is. Meanwhile I waited at the rangers hut (catching up with a few friendly faces from the training session) where they also doused me up with tea and hot veg parkoras, whilst showing me two local ibex grazing on the hillside. Jules met me back there at 6pm, a full 12 hours after we’d left and we cycled the remaining 30kms back to Sost in the dark - bright lights recommended!! You can apparently camp at the rangers hut, but not in the national park itself. Leaving Sost we met Katja and Mirko (@cyclingnomads) who have been travelling by bicycle for 16 years!! 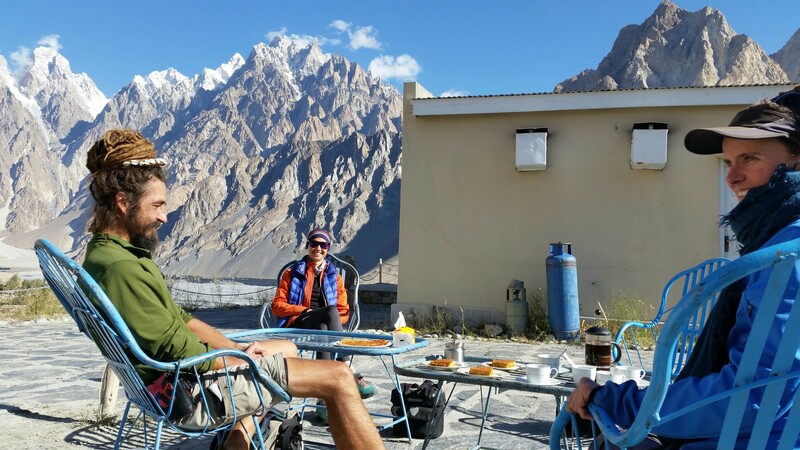 We spent a wonderful day gliding down valley with blue skies, snow capped mountains and firey colured trees for a back drop, stopping to sample the local sea buckthorn juice and jam, delicious and extremely high in vitamin C. Passing the splendour of the Passu Cones at dusk was mesmerising, and the Cathedral View Inn restaurant could not be better named, looking out onto the cathedral-like peaks. Even better, the owner Hussein let us camp and cooked up a delicious veg curry for supper and healthy (ie non-oily) parathas the next morning. The atmosphere and landscape here is so calm, it really feels as though we’re on holiday for once! Cycling with Katja and Mirko also helps, especially when we stop to gaze at the mountains and chat about our favourite books over a coffee and apricot cake at the Glacier View restaurant. Just so relaxed right now! Parting ways we cycled down valley towards Karimabad. 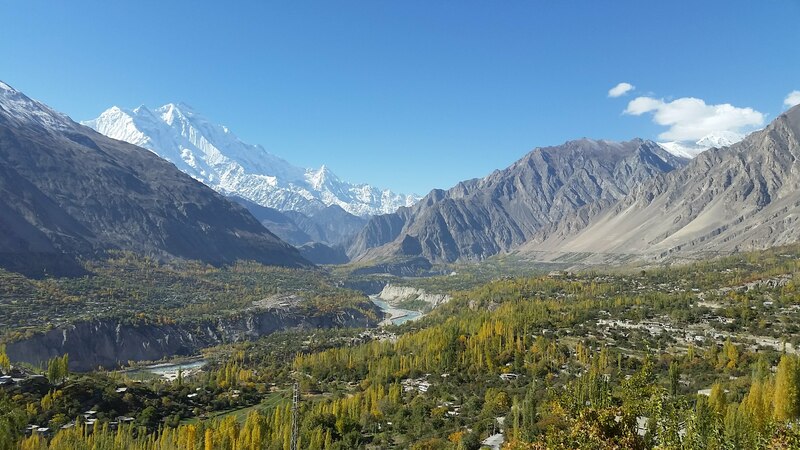 There is so much to stop and see in the Hunza Valley I wish we had more time to explore the valleys either side of the Karakorum Highway. 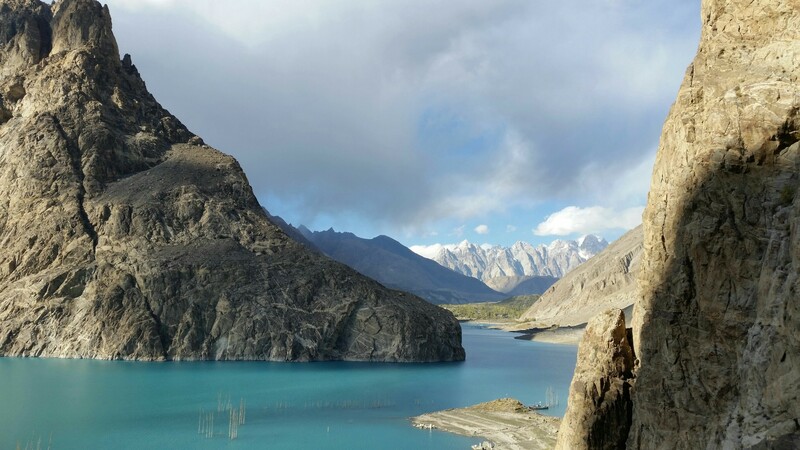 The highway itself however passes the Old Silk Road, and the famous Attabad Lake, created after a huge landslide blocked the river in 2010. It took five years for tunnels to be built for safe passage down valley, in which time all cargo and passengers had to be transported by boat. The boats still sit pretty offering tourists scenic trips across the lake. Past the lake views of Mt Rakaposhi open up, at 7788m high it is only Pakistan’s 12th highest mountain, which gives you an idea of how impressive the mountains are here. 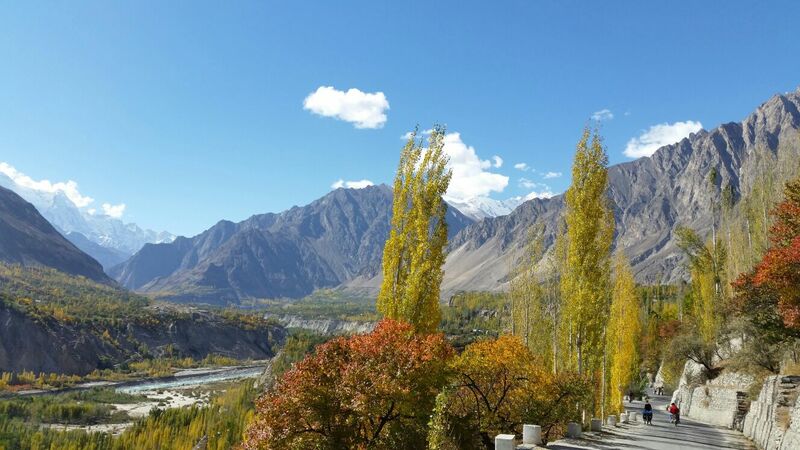 Karimabad sits pround on the valley side, commanding impressive views both up and down valley. The 8th Century Baltit Fort was originally built as a strategic view point by the Mirs and extended by the British who occupied Hunza from the 1890s. It’s worth the walk up the higgildy piggledy streets for the experience and view alone. WARNING - do not try and take a loaded bicycle up! The Old Silk Road, incredible to think people walked from here to Turkey, and people think we’re mad for cycling it! 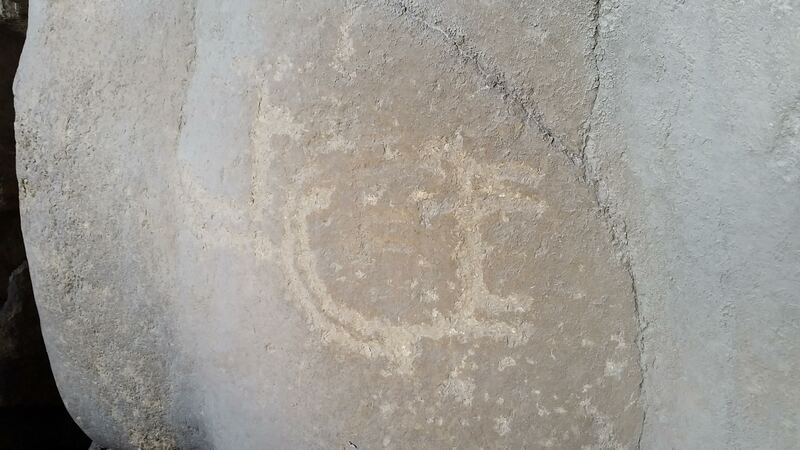 Halkeidish - the sacred rocks where carvings have been dated back to the first millennium AD, this carving of an ibex probably more recent. After the rather bland food of Tajikistan we’ve been enjoying the flavoursome curries here and also sampling some local mountain food and tea. Dried fruit and nuts are in plentiful supply, with our favourite being dried apricots with the seed left in. The dried apricot seed tastes just like almonds, it made us wonder why we don’t eat them in Europe, or whether the apricots here are different? The locals also use apricot oil on dosas, pancakes and cakes, absolutely delicious! The Gulmit Women’s Carpet workshop is worth a visit, run by locals who train other women in the area helping them to find employment and located in a 400 year old traditional home. Wild camping is generally difficult in the Hunza Valley with a lot of farming but we did manage to find a seemingly abandoned orchard one evening. Quiet, bliss. Although, you’re never really alone in Pakistan and sure enough on nightfall a local stumbled across us looking for his goat!! It turned out it was his uncle’s orchard, but we were welcome to stay as long as we liked. Just one of the many kind gestures we have had from people here, everybody just wants to make your stay as good as possible. So many people we spoke to are devastated at the effect 9/11 has had on tourism here. 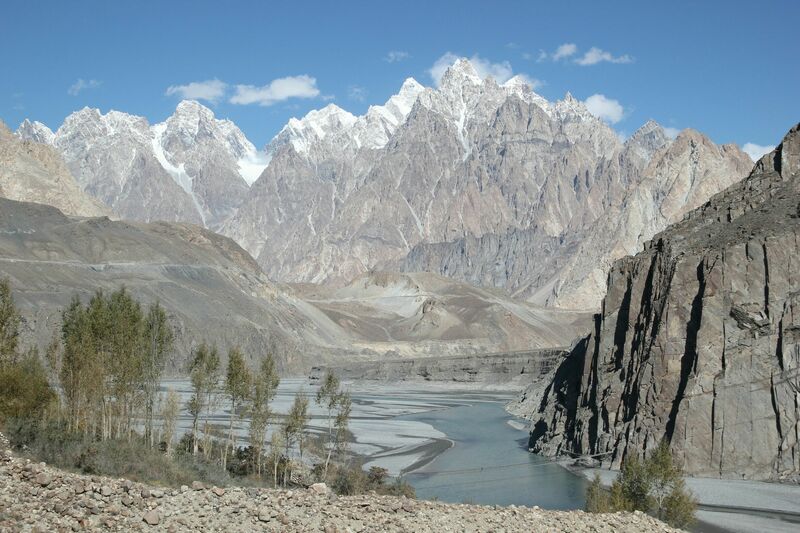 It is slowly picking up again, and the Hunza Valley is one of the most popular attractions with its natural beauty and gentle local population. Hunza people are mainly of Tajik, Wahki or Burusho origin and are Shia Muslims, and many Ismaili, who are much more relaxed about dress codes and strict prayer times. The region boasts a literacy rate of 90% and really is a joy to visit. 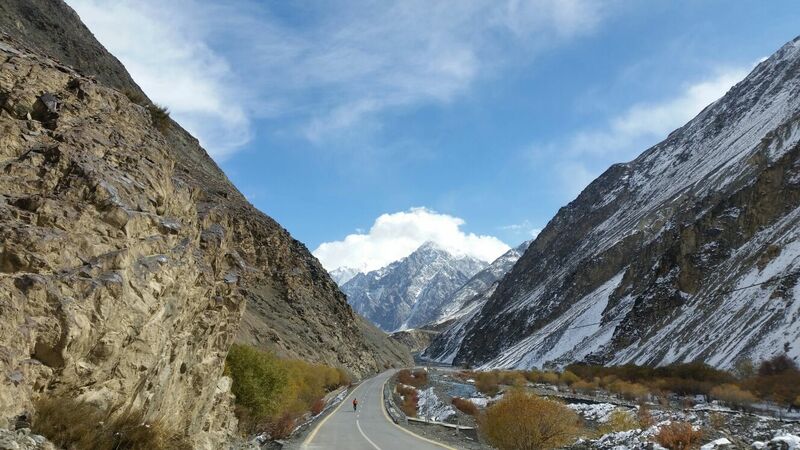 The road follows the river down to Gilgit, passing the point where the Indian and Eurasian continental plates collide and joining the mighty Indus river, the second biggest river in Asia flowing from Tibet to Southern Pakistan (this place is a geographer’s dream). There are also numerous memorials on the roadside dedicated to the workers who died building the Karakorum Highway between 1959 and 1979 - 810 Pakistanis and 200 Chinese perished. The authorities even today face a huge challenge with landslides so you can only imagine what it must have been like 40 years ago. 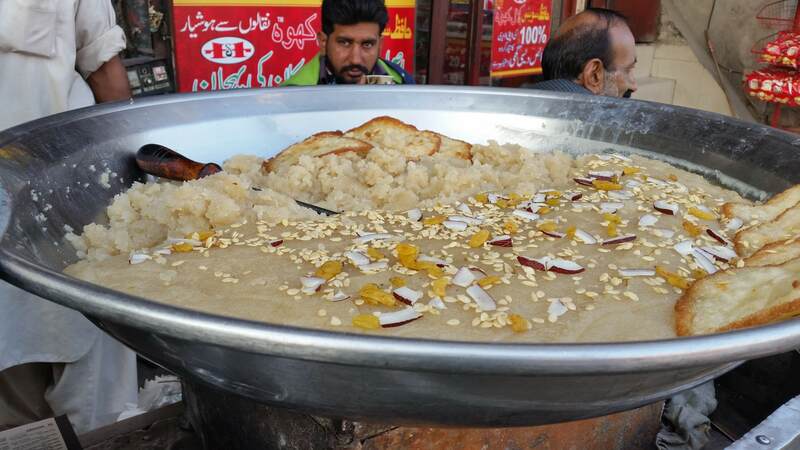 Gilgit is the regional capital, but don’t expect an organised town! We took the back road in as the weaving, swerving trucks and tuk-tuks started to swarm. The PTDC Motel let us pitch our tent in their quiet secluded garden which was a godsend and a perfect place to rest. The Gilgit bazaar is pretty hectic but there’s a decent supermarket tucked away behind the banks. You can escape the hustle and bustle by walking up to the Karagh Buddha, a rock carving 300ft high of the Buddha, or evil man-eating woman depending on which local legend you believe! After meeting so many cyclists on the Pamir Highway in Tajikistan, we had not expected to see many here due to the difficulties of getting a Pakistani visa outside of your home country. A week in and we meet our fourth touring cyclist, Damien (@dublintodelhi), our new touring partner for the next few weeks as far as Islamabad. Great to have more company on the road and a third person to tackle the impending police escorts with!